If you’ve never been to one of the concerts, here’s what you need to know. 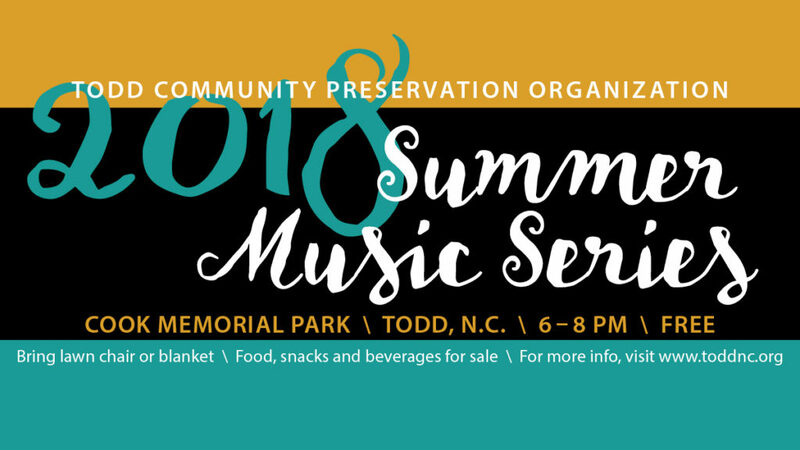 The concerts are sponsored by the Todd Community Preservation Organization, a nonprofit that works to preserve the Todd heritage, support the Todd community and businesses and owns and maintains Cook Memorial Park and Todd Island Park. The concerts are free but we will pass the pickle jar during intermission. Contributions in any amount are welcomed to help offset the cost of the bands. 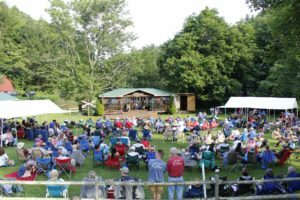 The concerts are family-friendly and held outside in beautiful Cook Memorial Park situated in downtown Todd, NC, next to a babbling creek and mere yards from the New River. Bring a lawn chair or blanket to sit on. Large tents will be set up to protect concert goers from sun or rain. We’ll fire up the grill and hamburgers, veggie burgers, hotdogs, snacks and drinks will be available for purchase – or feel free to bring your own picnic. Cook Memorial Park is located at 3865 Todd Railroad Grade Road in Todd, NC. Parking for the concerts is generously provided by South Fork Baptist Church next to Cook Park. 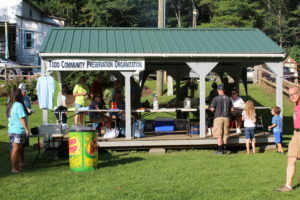 Please visit our website, toddnc.org, to see our calendar of events and to sign up for our blog posts, or visit our Facebook page, www.facebook.com/ToddNC28684 . Email us at info@toddnc.org or call us at 828-263-6173. We hope to hear from you or see you in Todd soon. You’ll be glad you came for a visit.